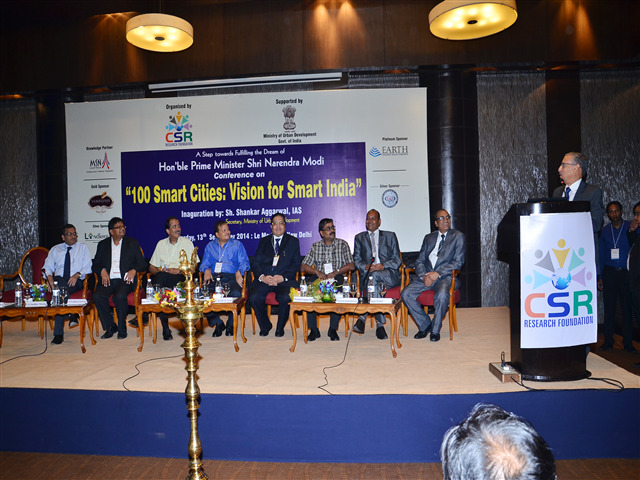 Mr Mukesh Singhal, CEO - URS Certification Ltd. insist on the Resource Planning for Sustainable Development and Implementation, also to the needs of fast growing urbanisation for the smart cities at the conference conducted by Corporate Social Responsibility Research Foundation at LE – Meredien, New Delhi. Mr. Naresh Badhwar - Head-Regulatory Affairs- URS delivered the presentation covering the topics on CSR. R K Bhatnagar - IAS, Former Commissioner Azamgarh -UP, K N Shrivastav, IAS, Director General ASI, Former Secretary, Civil Aviation were the chief guests and many other renowned personalities attended the conference.